In the autumn of 2017, Kvinna till Kvinna, the Kosovo Women’s Network and other partner organisations decided to evaluate the implementation of the EU’s Gender Action Plan II in external relations (GAP II), in the Western Balkan countries. 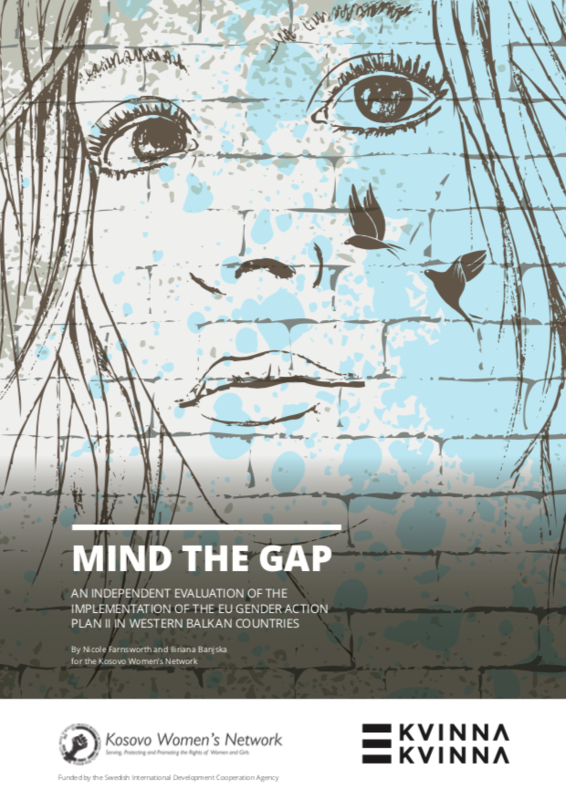 Our evaluation examined the extent to which the EU has implemented GAP II in each country, and identified best practices, challenges and opportunities for advancing the GAP II implementation in 2018-2020. We focused on EU delegations’ implementation of GAP II’s strategic priority of an “Institutional Culture Shift”. The aim of this strategic priority is to promote and prioritise gender equality and women’s rights in external relations, both within the EU institutions and its member states.